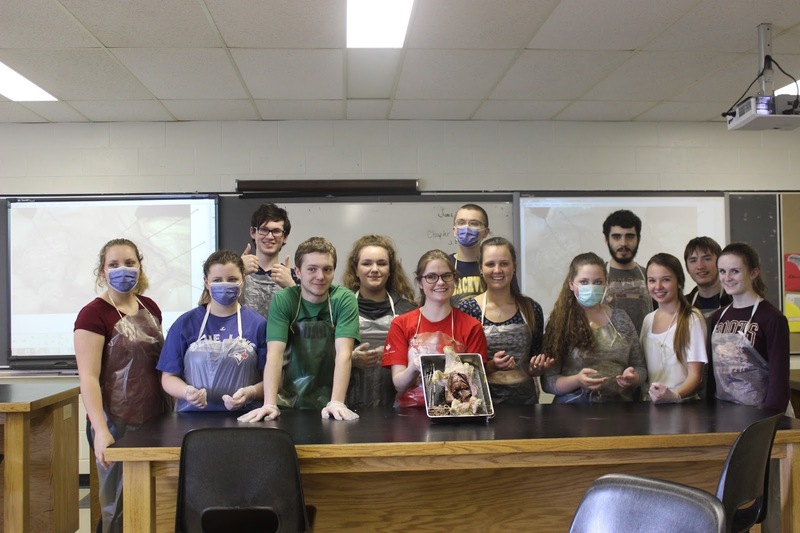 As the last week of the 2017 school year comes closer, students have an opportunity to reflect on a new class that started being offered at Blackville School, Human Physiology. 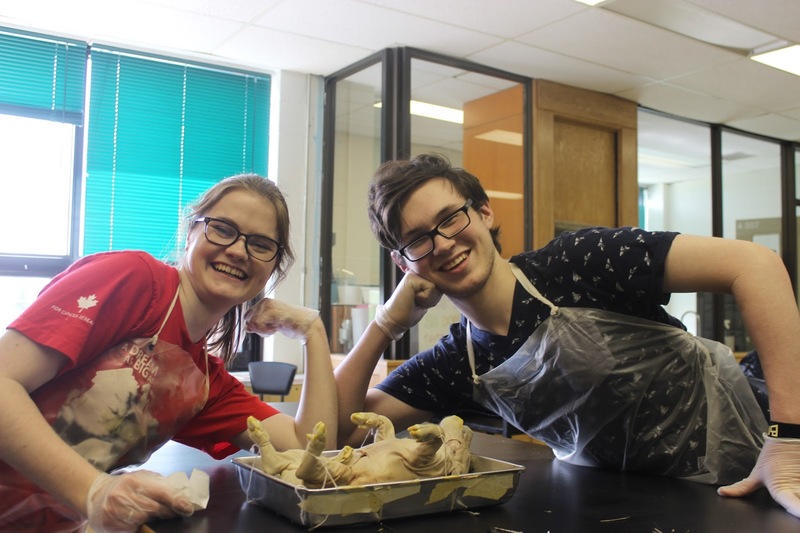 Offered at the grade 11 level, this class, taught by Mrs. T. Underhill, aims to teach students the fundamentals of human biology, from bone and muscle structure to the nervous system. The students took part in many projects such as creating videos to teach people about muscles, cooking normal recipes versus their healthy alternative, and, of course, dissecting fetal pigs, as pigs share much of the same physiology in comparison to humans. 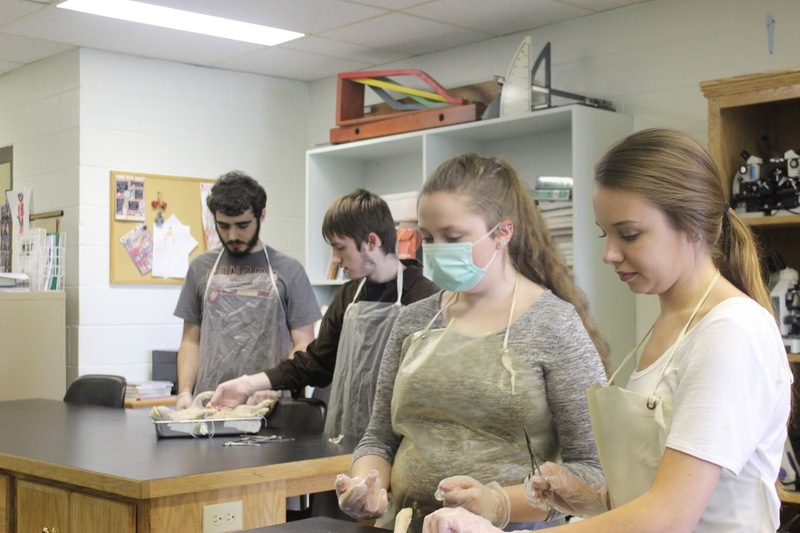 Commenting on their learning experience, students said the class made them more passionate about the sciences or even interested them in pursuing a career in science. Below are student responses and also some comments from Mrs. T. Underhill about her experiences teaching this new curriculum. Did you enjoy this class? What unit or project did you find the most enjoyable? The muscle unit because we got to make a video for it, ours starred a host named "Del Toid" quizzing people about muscles. We also wrote a song called "These are the Muscles I Know." It was genius. Are you any more interested in the sciences than you were before this class and would you recommend other students to take part in human physiology? The muscle unit because we did a really fun video for it. Not incredibly. I would because it's really fun, even if you don't like sciences, because I don't and I enjoyed it. I found the skeletal system unit very fun because we got to do this cool project where we identified dead bodies by the bones and stuff, it was really fun. Yes I'd say so. Yeah, it's really fun, you should take it. What do you enjoy about teaching high school sciences like biology and human physiology? I would say the best part about teaching both biology and human physiology is when students start to understand the reason why their body works as it does, as well as, how other factors (both living and non-living) play such a large role in their world. What are the biggest differences between biology and human physiology? With Biology 110 students explore all kingdoms and representatives from each. With Human Physiology we focus specifically on the systems of the human body, as well as, the added bonus of a wellness component. Most of the students seemed really engaged and excited to take part in class, how do you motivate this many students to be passionate about class? With this being the first year we offered Human Physiology nobody, myself included, really knew what to expect. I think the small class size of 14 allowed students to feel more comfortable when participating in the activities. The hands-on approach was definitely an aspect of the course that the students seemed to enjoy. Are you expecting to continue to teach Human Physiology to grade 11 students? I really hope to be able to teach/offer Human Physiology in the 2017-2018 school year. With so many changes in schedules it is really hard to say at this point. I know Mr. Buggie will do his best to try and offer Human Physiology next year.